1.1 We are committed to safeguarding the privacy of our website. 1.2 This policy applies where we are acting as a data controller with respect to the personal data of our website; in other words, where we determine the purposes and means of the processing of that personal data. 2.3 We may process your account data (“account data“).The account data may include your name and email address. The source of the account data is you. The account data may be processed for the purposes of operating our website, providing our services, ensuring the security of our website and services, maintaining back-ups of our databases and communicating with you. The legal basis for this processing is our legitimate interests, namely the proper administration of our website and business. 2.4 We may process your information included in your personal profile on our website (“profile data“).The profile data may include your name, address, telephone number, email address, profile pictures, gender, date of birth, relationship status, interests and hobbies, educational details and employment details. The profile data may be processed for the purposes of enabling and monitoring your use of our website and services. The legal basis for this processing is our legitimate interests, namely the proper administration of our website and business. 2.5 We may process your personal data that are provided in the course of the use of our services (“service data“). The source of the service data is. The service data may be processed for the purposes of operating our website, providing our services, ensuring the security of our website and services, maintaining back-ups of our databases and communicating with you. The legal basis for this processing is our legitimate interests, namely the proper administration of our website and business. 2.7 We may process information contained in any enquiry you submit to us regarding goods and/or services (“enquiry data“). The enquiry data may be processed for the purposes of offering, marketing and selling relevant goods and/or services to you. The legal basis for this processing is our legitimate interests, namely the proper administration of our website and business. 2.8 We may process information relating to transactions, including purchases of goods and services, that you enter into with us and/or through our website (“transaction data“). The transaction data may include your contact details, your card details and the transaction details. The transaction data may be processed for the purpose of supplying the purchased goods and services and keeping proper records of those transactions. The legal basis for this processing is our legitimate interests, namely the proper administration of our website and business. 2.11 We may process information contained in or relating to any communication that you send to us (“correspondence data“). The correspondence data may include the communication content and metadata associated with the communication. Our website will generate the metadata associated with communications made using the website contact forms. The correspondence data may be processed for the purposes of communicating with you and record-keeping. The legal basis for this processing is our legitimate interests, namely the proper administration of our website and business. 3.1 We will take appropriate technical and organisational precautions to secure your personal data and to prevent the loss, misuse or alteration of your personal data. 3.2 We will store all your personal data on secure servers, personal computers and mobile devices, and in secure manual record-keeping systems. 3.3 The following personal data will be stored by us in encrypted form your name and contact information. 3.4 Data relating to your enquiries that is sent from your web browser to our web server, or from our web server to your web browser, will be protected using encryption technology. 3.5 You acknowledge that the transmission of unencrypted or inadequately encrypted data over the internet is inherently insecure, and we cannot guarantee the security of data sent over the internet. 3.6 You should ensure that your password is not susceptible to being guessed, whether by a person or a computer program. You are responsible for keeping the password you use for accessing our website confidential and we will not ask you for your password (except when you log in to our website). 4.3 We may notify you of significant changes to this policy by email or through the private messaging system on our website]. 5.1 In this Section 9, we have summarised the rights that you have under data protection law. Some of the rights are complex, and not all of the details have been included in our summaries. Accordingly, you should read the relevant laws and guidance from the regulatory authorities for a full explanation of these rights. 5.3 You have the right to confirmation as to whether or not we process your personal data and, where we do, access to the personal data, together with certain additional information. That additional information includes details of the purposes of the processing, the categories of personal data concerned and the recipients of the personal data. Providing the rights and freedoms of others are not affected, we will supply to you a copy of your personal data. The first copy will be provided free of charge, but additional copies may be subject to a reasonable fee. 5.5 In some circumstances you have the right to restrict the processing of your personal data. Those circumstances are: you contest the accuracy of the personal data; processing is unlawful but you oppose erasure; we no longer need the personal data for the purposes of our processing, but you require personal data for the establishment, exercise or defence of legal claims; and you have objected to processing, pending the verification of that objection. Where processing has been restricted on this basis, we may continue to store your personal data. However, we will only otherwise process it: with your consent; for the establishment, exercise or defence of legal claims; for the protection of the rights of another natural or legal person; or for reasons of important public interest. 5.6 You have the right to object to our processing of your personal data on grounds relating to your particular situation, but only to the extent that the legal basis for the processing is that the processing is necessary for: the performance of a task carried out in the public interest or in the exercise of any official authority vested in us; or the purposes of the legitimate interests pursued by us or by a third party. If you make such an objection, we will cease to process the personal information unless we can demonstrate compelling legitimate grounds for the processing which override your interests, rights and freedoms, or the processing is for the establishment, exercise or defence of legal claims. 5.7 You have the right to object to our processing of your personal data for direct marketing purposes (including profiling for direct marketing purposes). If you make such an objection, we will cease to process your personal data for this purpose. 5.8 You have the right to object to our processing of your personal data for scientific or historical research purposes or statistical purposes on grounds relating to your particular situation, unless the processing is necessary for the performance of a task carried out for reasons of public interest. 6.1 Our website includes hyperlinks to, and details of, third party websites. 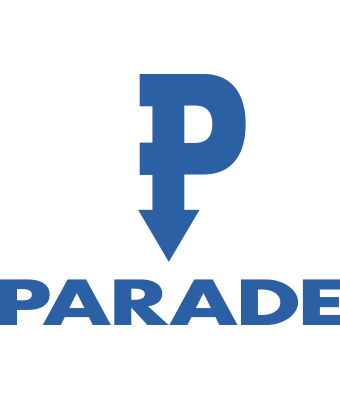 12.1 This website is owned and operated by Parade Civil Engineering Limited. 12.2 We are registered in England under registration number 01980910, and our registered office is at First Floor, 15 Colmore Row, Birmingham, B3 2BH. 12.3 Our principal place of business is at 204 Kings Road, Tyseley, Birmingham, B11 2AP.